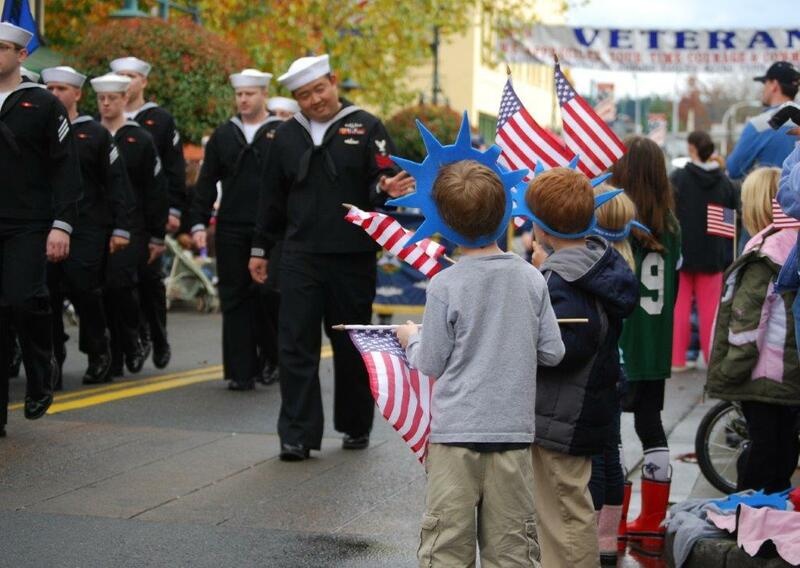 One of the largest Veterans Day Parades west of the Mississippi. The mile-long Veterans Day Parade proceeds west on Main Street from E Street SE to A Street NW in Auburn and will include a military fly-over, marching bands, honor guards, military marching units and vehicles, veterans units, drill teams, community and scouting groups, as well as floats, antique cars and more. The day kicks off with a breakfast, sponsored by the American Legion, which is followed by a Remembrance Ceremony. A Static Display & Exhibit Showcase is held along the parade route from 9:00am – 2:00pm. The Auburn Noon Lions Luncheon and an open house at the VFW follow the parade. The day is complete after the state's largest Marching Band and Field Competition awards its winners at Auburn High School Stadium.